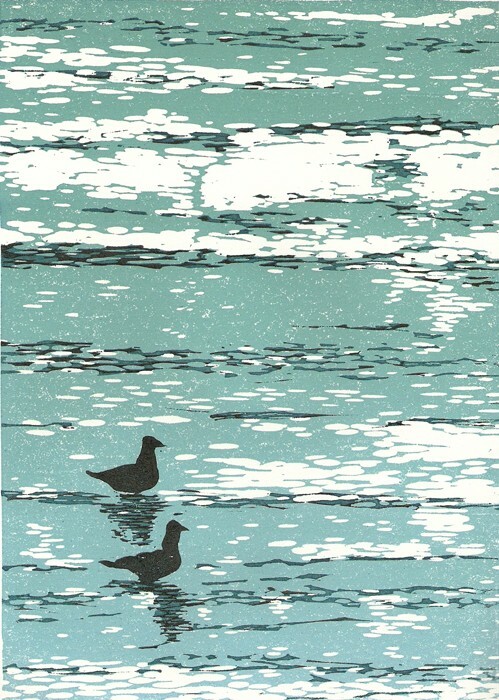 An original, hand pulled reduction linoprint, limited edition of 5 prints only. Waterbased ink on acid free Zerkall white paper. Print measures about 7″ x 10″.